It may take another 5 year before you start using lambda expressions and Stream API. Apart from several design mistake of Date class e.g. mutability, not intuitive, most obvious problem with formatting date in Java is SimpleDateFormat not being thread-safe. That's why I wrote this post to show how to convert String to Date correctly in Java multi-threading environment. There are mainly two ways to use SimpleDateFormat properly in concurrent application, either synchronize the access to DateFormat object or use ThreadLocal variable. Earlier we have see how to make SimpleDateFormat thread-safe, and in this tutorial, we will learn how to use synchronized keyword for making DateFormat thread-safe. Here is complete example of converting String to Date on a Multi-threading Java Program. In this program, I have created a nested static class DateUtils, which holds a static final DateFormat object. Here we have created a method called toDate() which return a date object when we pass String to it. This DateFormat object is created with pattern "dd/MM/yyy", you can choose any format as you like, please refer to cheat sheet given in this blog post to see various date formatting options. When you pass an incorrect date to this toDate() method, you will see following Exception in your console. java.text.ParseException: Unparseable date: "Febrauary 6, 2014"
Here is another common example of passing incorrect date String which is not in expected format and cannot be converted to date. 1) Long time ago, one developer asked me, instead of compromising performance by using synchronized block, why not just use DateFormat as local variable. Important point to note is that creating DateFormat every time is very expensive, it will be overkill for an application which need to convert millions of String to Date e.g. an Order processing engine, which receives millions of orders. 2) Sharing same DateFormat object between multiple thread can also result in unexpected result. 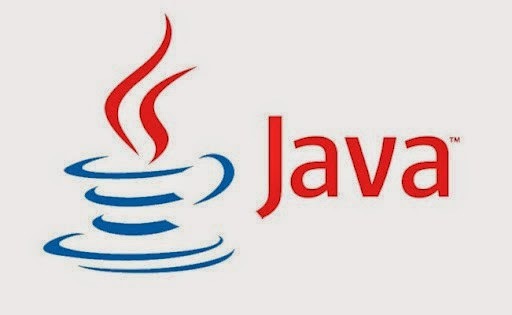 For example, you may end up a completely different date then the expected value, or you will be greeted by java.lang.ArrayIndexOutOfBoundsException or java.lang.NumberFormatException. 3) There are multiple way to correctly use DateFormat in multi-threading Java applications, which includes using SimpleDateFormat as ThreadLocal or properly synchronizing excess to DateFormat object. I suggest to use ThreadLocal approach for core Java application, which is not running on managed environment like Web server or application Server. Since managed environment manages essential service on behalf of application e.g. Thread pools, their is a chance that their thread outlived application itself, which can create ThreadLocal memory leaks in Java. 4) Another mistake to avoid while using DateFormat in multithreading environment is, storing them in static variable. When programmer comes to know that creating DateFormat locally, every time you need to convert String to Date is very time and memory consuming, they usually create a global DateFormat object and store them as static variable. Though that solves their memory and performance issue, by only using one instance of DateFormat object, it introduce more subtle concurrency bugs in application, due to shared and unprotected access of a non-thread object. Remember, DateFormat is not threadsafe in Java. 5) Apart from thread-safety issue, String to date conversion process also faces subtle mistakes on formatting options, mainly due to lack of good knowledge of formatting characters explained in Javadoc. Remember even same character in different case result in totally different meaning, which may result in "java.text.ParseException: Unparseable date" error. One of those is using "m" as Month, which is actually stands for minuets. For example following date format "dd-mm-yyyy" is incorrect and will result in different meaning, when passed a date like 30-01-2011 e.g. 01 will be minutes. 6) Have various Date format options handy, a cheat sheet image is not bad at all. That's all on how to convert String to Date in Java. As I said parsing String to Date in Java is very simple in single threaded program, but you have to be careful while doing this in multi-threaded Java program because SimpleDateFormat is not thread-safe. You can use any of synchronization mechanism we have discussed in this article, but prefer ThreadLocal variable over synchronized keyword because of performance reason. Cost of synchronization is much higher than maintaining separate copy for each thread. Another thing you should remember while creating Date from String is to remember various Date format options e.g. many people make mistake between 'm' and 'M', where m is for minute of hour while M is for month of year. By the if you are using Java 8, consider using new Date and Time API for converting String to Date. There is no point using old date API if you already moved to JDK 8. Interresting usage of the synchronised keyword but you are bottlenecked in the case of severall threads. Have you ever consider using the DateTimeFormat adhoc replacement in org.joda.time library ? I think that's a very good option if you don't mind an additional step from converting to joda time LocalDate to java.util.Date. It's thread-safe and easy to use. > How to convert String to Date Example in Java Multithreading ? pre java 8 : the safer, simpler option is joda time. In fact for all your date needs one should use joda time, not just formatting e.g. their LocalDate class is better than Date and Joda also has useful Instant, Duration classes to calcualte differnece between two dates e.g. how many days to Christmas, or New Year. On Java 8, yes, you can use java Date and time API but before that, go for Joda. ThreadLocal for your SimpleDateFormat is a better solution. Indeed, and I think that is the most legitimate and natural use of ThreadLocal variable in Java. SimpleDateFormat + ThreadLocal rocks! !